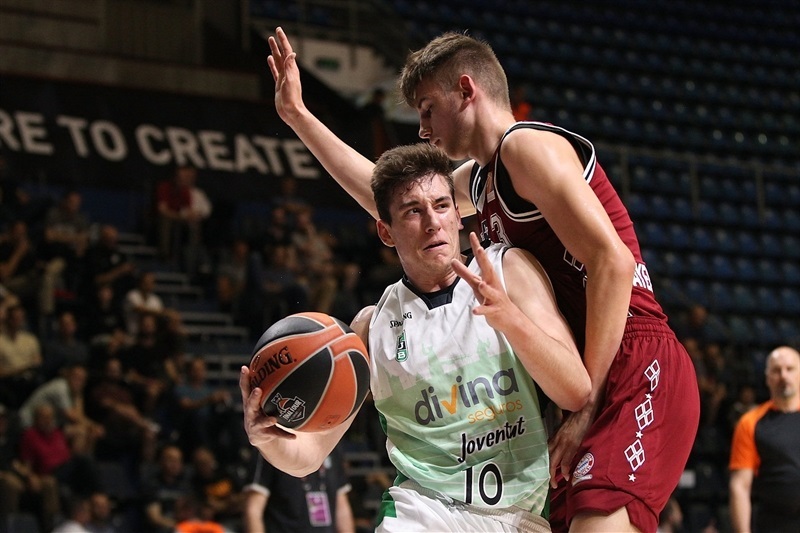 U18 Divina Seguros Joventut Badalona finished its 2018 Euroleague Basketball Adidas Next Generation Tournament Finals in strong fashion with a 77-99 victory over U18 FC Bayern Munich. 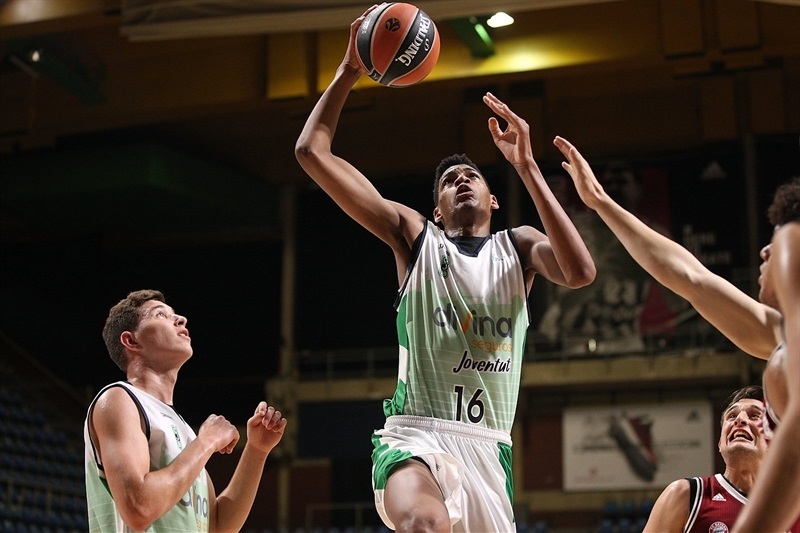 Joel Parra paced Joventut with 29 points and 16 rebounds while Didac Cuevas just missed a triple double with 17 points, 9 rebounds and 13 assists for Joventut, which finished Group B with a 2-1 record. The 2013 ANGT champion also got 16 points from Manel Signes. 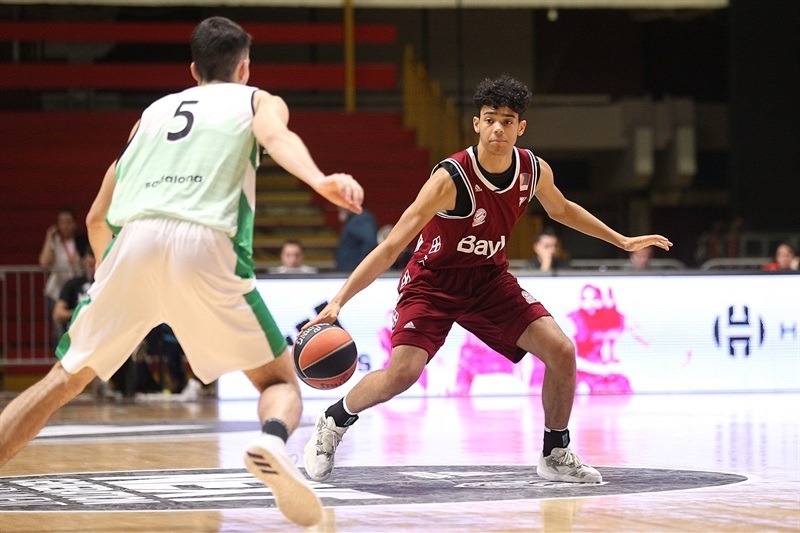 Bayern ended its first ever trip to the ANGT Finals with an 0-3 record despite 19 points from Sasha Grant while Robert Merz had 17 points. 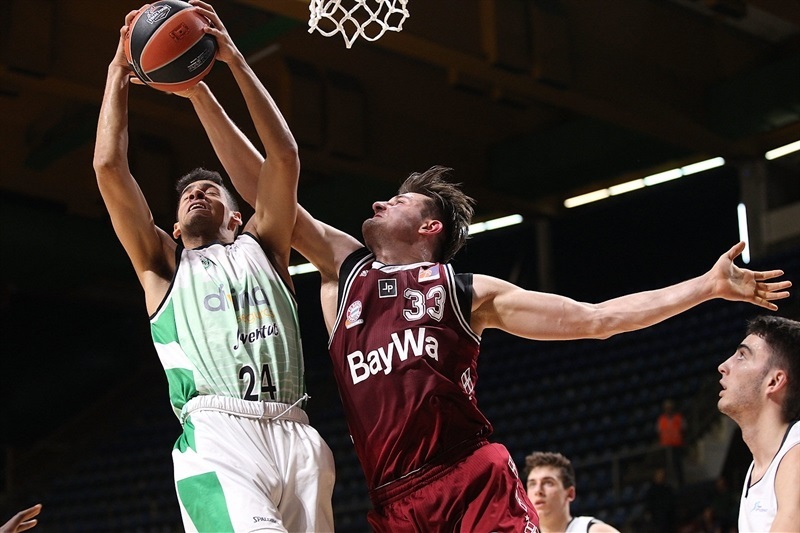 After Joventut jumped ahead 3-8, Bayern pulled even at 11-11. Joventut responded with a 2-12 run for a 13-23 lead. Merz came off the Bayern bench for seven points as Bayern trailed 23-29 after 10 minutes. 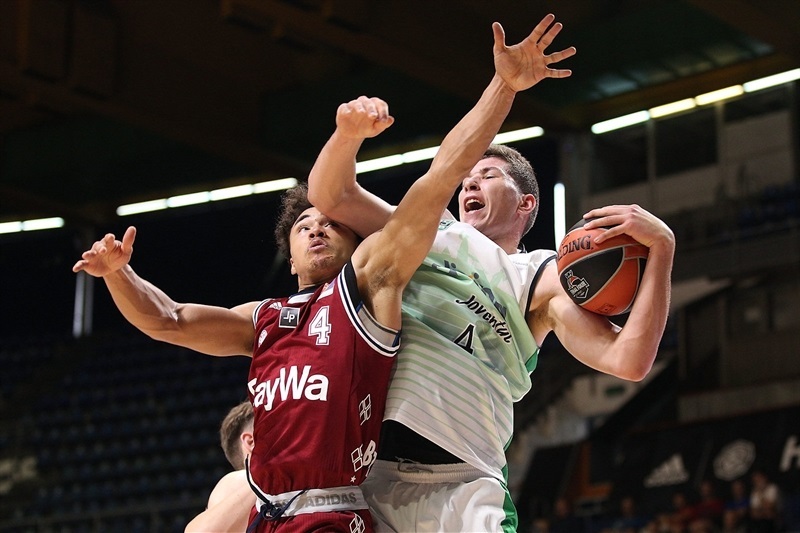 The German team could not score in the first four minutes of the second quarter and Joventut surged ahead 23-35. And it was 29-42 after a three-pointer from Arnau Jaime. 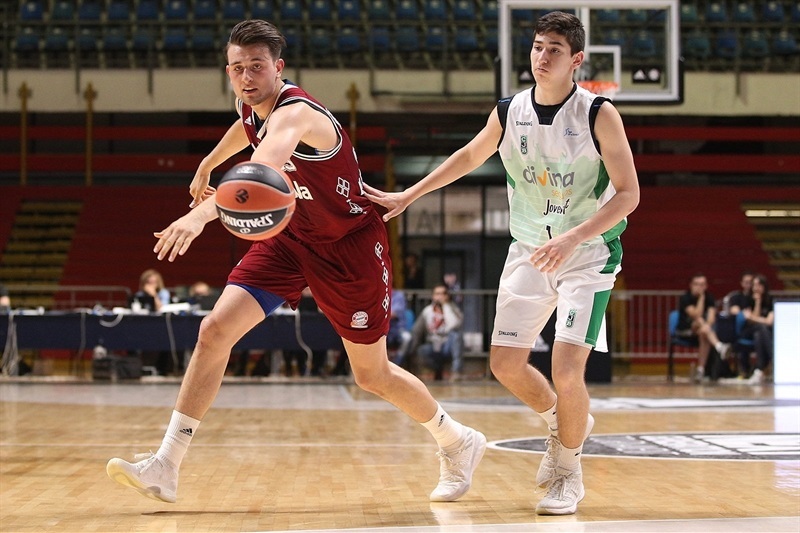 Kilian Binapfl scored two baskets for Bayern, which was down 38-46 at the break. Cuevas and Parra both knocked down three-pointers as the lead grew to 41-53. Bayern finally hit their first basket of the second half at the 6:37 minute mark. 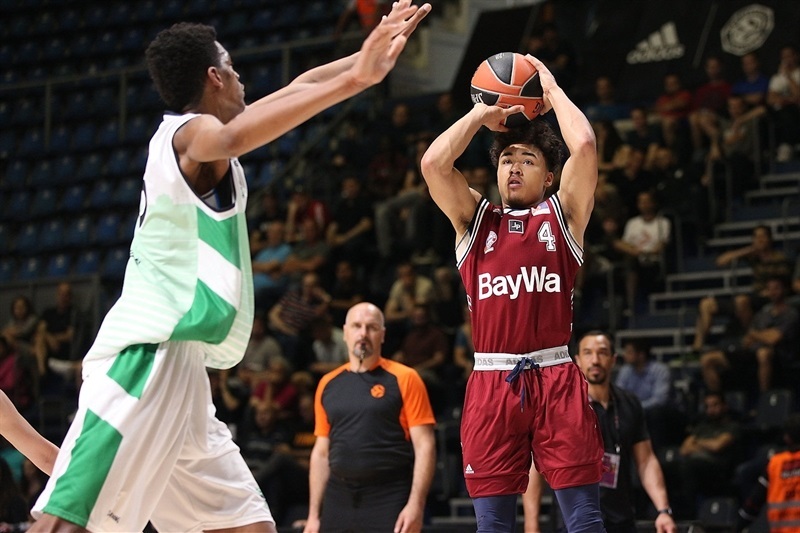 After Parra’s basket increased the lead to 52-66, Bayern was able to get the gap to 58-68 and was down 59-73 after three quarters. Trailing 59-77, Bayern put together a series of scores to make it 65-79. 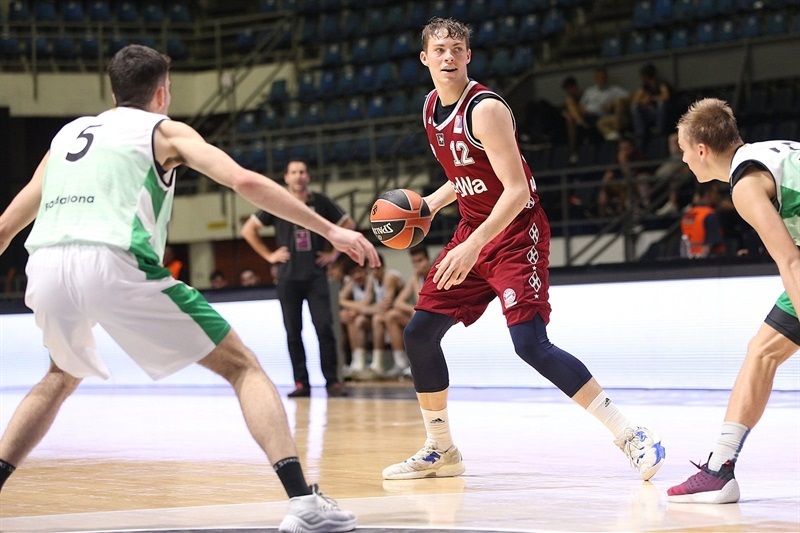 But Joventut finished off any Bayern hopes with a 2-13 run for a 67-92 lead.